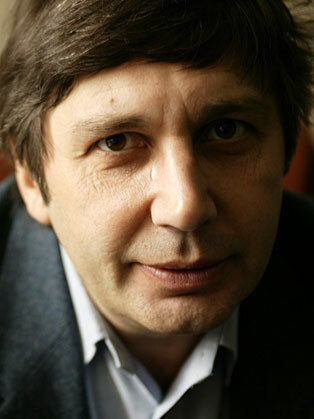 Sir Andre Geim received a master’s degree from the Moscow Physical-Technical Institute (now the Moscow Institute of Physics and Technology) in 1982 and a doctoral degree from the Institute of Solid State Physics at Chernogolovka, near Moscow, in 1987. He was a research scientist at the Institute for Microelectronics Technology and High Purity Materials at Chernogolovka from 1987 to 1990, and between 1990 and 1994 he held postdoctoral positions at the University of Bath, the University of Nottingham, and the University of Copenhagen. In 2001 he became a professor of physics at the University of Manchester. In 2004 Geim, Novoselov, and colleagues succeeded in isolating Graphene a one-atom-thick sheet of carbon found in a hexagonal lattice. Graphene is an extremely good conductor of electricity and may surpass silicon to form the next generation of computer chips. Graphene is also almost totally transparent, so it could be an ideal material for touch screens and solar cells. Geim was included in the United Kingdom’s New Year Honours List for 2012 and was thereafter made a knight bachelor.